See how Aerosmith® can quickly and effortlessly allow you to install gypsum board to steel or concrete without breaking the paper! The depth of drive adjustment allows you to be in control, and can help you save money by cutting down on waste. 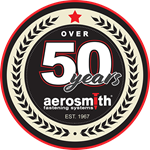 Learn more about Aerosmith's ability to save you time and money in construction applications, or contact us for more information.